So you’re planning the cruise holiday of your dreams; your cabin is booked, on-board spending is all taken care off, a handful of excursions have been planned and you’re still perusing the on-board itinerary whilst considering what to pack that’s in line with the dress codes. But, what about your jewellery? What’s the point in owning that expensive watch if you can’t wear it on this type of holiday? If this is you, it’s worth knowing your options when it comes to high value jewellery insurance. With regards to insuring valuable jewellery on a cruise ship holiday, there are 2 viable options. Inclusion within a high value home insurance policy or a stand-alone high value jewellery insurance policy. For jewellery that is not as valuable, you could also think about inclusion on a standard home contents policy or cover provided by your travel insurance. A note of caution if you are considering either of these for high value items; a standard policy may limit the level of cover, for example: only £1,000 covered unspecified on a policy or perhaps a maximum £5,000 on specified items. It is also important check that cover is applicable overseas and not restricted to the UK or even to inside the home. With travel insurance be aware of a per item limit and also that it is most likely that your items will only be covered against loss and theft and not in event of fire, flood or accidental damage. There are a variety of factors to consider regarding the high value jewellery insurance options mentioned above. The right option for you very much depends on your individual circumstances and the jewellery you are looking to insure. With a stand-alone policy you can get cover for up to £1m with no excess to pay and you’ll be insured for the replacement value of your items. In addition you are able to tailor the level of cover you need, for example do you need worldwide cover or would you prefer cover just for Western Europe? With cover within a high value home policy, all items are automatically covered worldwide against loss and damage. Depending on where you are going and the items you are looking to insure, it is worth talking to one of our Account Managers to discuss your exact requirement. What if I want to buy jewellery whilst on a cruise holiday? Many people ask this question. 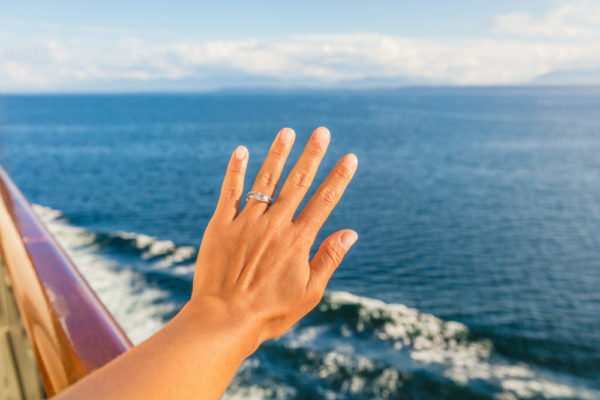 There are plenty of opportunities to purchase jewellery whilst on a cruise, both ashore and on-board the ship, plus jewellery is a beautiful reminder of your adventure. With this in mind, it is worth knowing that a standalone policy is tailored to specific items and so does not cover new purchases. However, a high value home insurance policy typically provides cover up to 20% of the total insured and so new items will automatically be covered provided you inform Highworth Insurance within 60 days. Jewellery is designed to be worn and enjoyed and one of the attractions of a cruise ship holiday, for many, are the opportunities to dress up on formal occasions. At Highworth insurance we provide tailored levels of cover which ensure your peace of mind whether at home, abroad or on-board. You can talk to any one of our experienced Account Managers about your requirement for high value jewellery insurance Monday to Friday between 9am and 6:30pm and on Saturdays between 9am and 12:30pm. They will be able to give you a quick quote based on your conversation and provide advice on which policy is best suited you and your jewellery on: 01202 937430.